Gutter systems are one of the best additions to your home. They not only increase your protection from water damage but also improve your home’s overall beauty and value. Advantage Seamless Gutters, the area’s trusted contractor, offers a wide range of seamless gutters that can benefit your home. Today, we will discuss the features and benefits of our half round systems. Half round gutters are known for their elegance. Before the 1960s, they were very commonly used on homes and their classic beauty perfectly complemented the style of most homes in that era. While they were previously associated with upscale homes due to rising costs, the arrival of aluminum systems has made half round gutters more accessible for homeowners. Our half round gutters, in particular, can give your home a timeless look without compromising performance. This gutter type is one of the most efficient on the market. 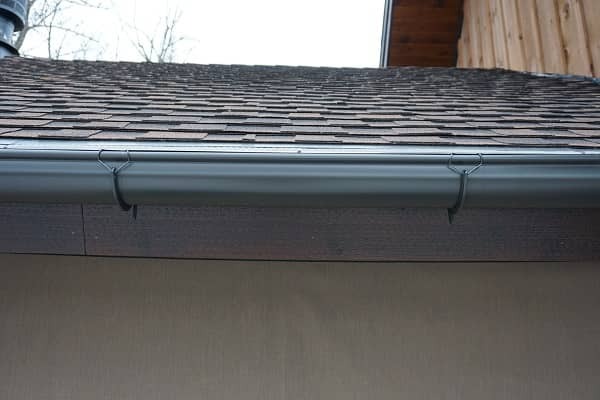 They feature an open gutter design with hangers flanking the gutter’s exterior, promoting the free flow of water and debris through your system. They also have a curved design that allows them to fill with more water than other gutter styles. Why Work With Advantage Seamless Gutters? To fully enjoy the benefits of your half round gutters, it’s important to ensure their proper installation. Advantage Seamless Gutters has worked on countless homes in the area and has helped improve their protection through our professional services. Our team of highly-qualified and trained experts can ensure flawless results in a timely and friendly manner. Turn to Advantage Seamless Gutters for all your gutter installation needs. We offer a wide range of gutter types in various materials so you can find one that best suits your needs. To learn more about our products and services, call us at (320) 421-8726 today. You can also request a free estimate. We serve Alexandria, Bemidji and nearby MN communities.